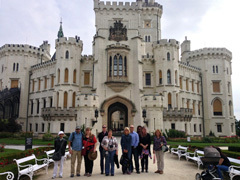 Tour the legacies of the centuries when European imperial emperors and countries competed to build the largest, most ornate, and most expensive castles and palaces. 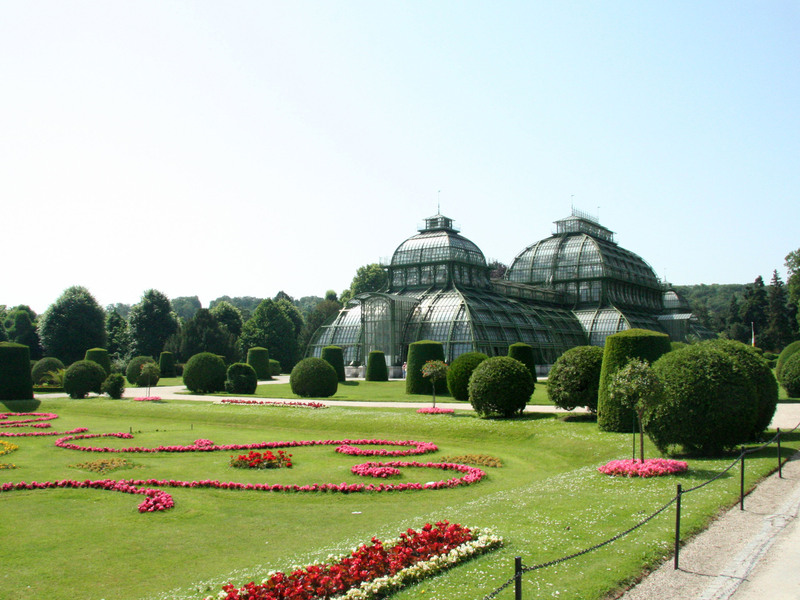 Tour inside and explore the elaborate gardens. Castle, palace and regional highlights include the Residence and the Hofbrauhaus in Munich, Hluboka, Prague Castle and Cesky Krumlov Castle in the Czech Republic, Schönbrunn in Vienna, Fortress Hohensalzburg and Mirabell Gardens in Salzburg, and the Golden Roof in Innsbruck. This private tour is now available weekly on a year-round basis, except for prior commitments. Enjoy, relax, and let us take care of the details. 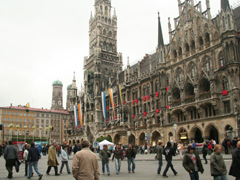 Board your flight from home to Munich (München / Muenchen), Germany's third-largest city. This itinerary assumes this to be an overnight flight. Arrival in MUNICH, Germany. Complimentary transfer from the airport to your hotel in Munich. 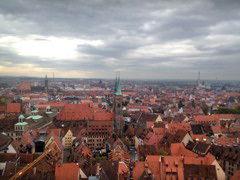 You have time in the afternoon to rest from your trip or to do some Munich sightseeing on your own. Tonight you'll enjoy a welcome dinner at the Hofbrauhaus, the world’s most famous beer hall. 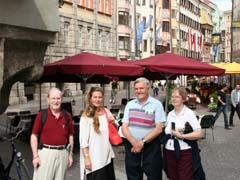 > Your tour includes: Transfer from airport to Munich hotel, three-course dinner with menu choice, including one beverage and coffee or tea after dinner, overnight in Munich. 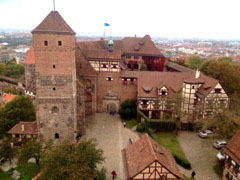 After breakfast we head north to NUREMBERG (Nürnberg or Nuernberg in German, sometimes Nurnberg on the net), the former free Imperial City dominated by a large fortress, the Burg. An orientation drive features the landmarks of the city and ends on the main square, the Hauptmarkt, where each year Germany’s most famous Christmas Market takes place. Free time for early lunch in the city centre before we continue our journey. 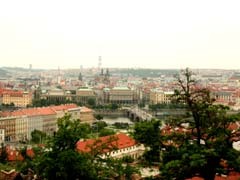 We head east to PRAGUE, the immortal capital of the Czech Republic, also called the Golden City or the Mother of Cities. Enjoy a leisurely evening stroll through the old town with your local guide. 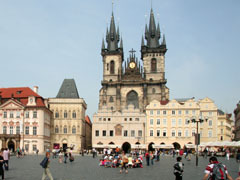 See the Jewish Prague, Old Town Square, and the Astronomical Clock, and enjoy a great Bohemian dinner in Town tonight. 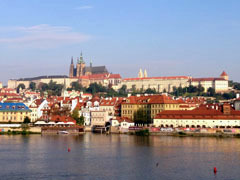 Today in PRAGUE you are going to spend all morning at one the largest castles in the world, Hradcany or Prague Castle. There was already a castle in the 9th century. It was rebuilt in the 14th century in gothic style under Charles IV, and given its final style under Empress Maria Theresa. 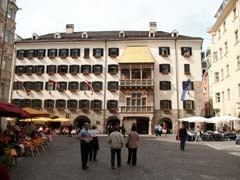 Today it is the historical and political centre of both city and state. Enjoy a free afternoon and evening for shopping or to join the locals on Wenceslas square, visit one of the many museums, go for a stroll in the park or along the Vltava River, maybe get a ticket for an opera tonight. Dinner on your own tonight. 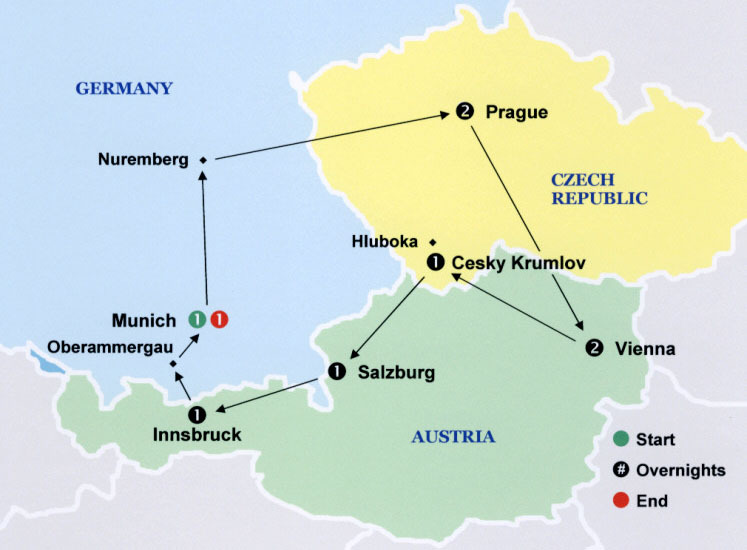 We say goodbye to Prague this morning and head southeast to VIENNA, the capital of Austria and at one time capital of one of the largest empires in Europe. 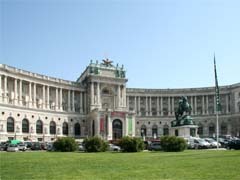 We arrive in time for lunch in Vienna, after a drive along the Ring Road which offers Vienna’s most famous sights: Opera, Hofburg, National Museum, Town hall, Burgtheater, University, Parliament and much more. Afterwards join your local guide for a walking tour of the heart of Vienna, including an inside visit at St. Stephen's Cathedral. Enjoy free time for shopping on Kaertnerstrasse or Graben or more sightseeing. We have an unforgettable dinner in a typical Heurigen tonight. 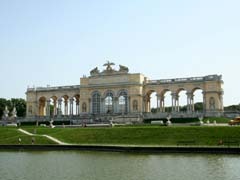 This morning in VIENNA we bypass the long lines with pre-arranged access to see Schonbrunn (Schönbrunn or Schoenbrunn in German), Austria’s answer to Louis XIV's Versailles. 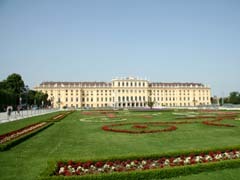 See Maria Theresa’s summer palace and enjoy free time in the splendid baroque garden. Inside guided tour with local specialist. Afterwards you are shown how apple strudel is made in the Imperial Kitchen, and you may try it together with a cup of coffee. Afternoon and evening at leisure. The to-do list is endless. Maybe ride the Giant Ferris Wheel in the Prater, known from the movie "The Third Man", visit the Opera or the Hofburg from the inside, relax in one of the beautiful parks, spend time in a typical “Kaffehaus”, or sign up for a classical concert. Dinner on your own tonight. 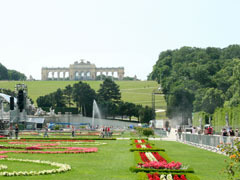 After breakfast we leave Vienna and back into the Czech Republic to HLUBOKA NAD VLTAVOU. 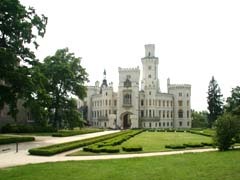 The town of Hluboka nad Vltavou (4,500 citizens) is famous, above all, for its stunning Hluboka Chateau, built in the Windsor Neo-Gothic style, with its splendid interiors. 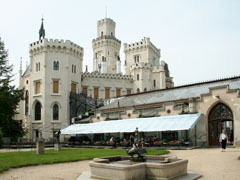 The castle is surrounded by beautiful gardens and is situated in the middle of a large English park. 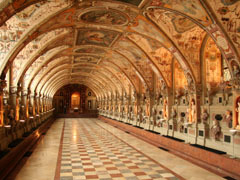 Adjacent to the castle is the Ales South Bohemian Gallery with a unique exposition of Bohemian medieval art (a well-known collection of Gothic Madonnas) and equally attractive twentieth-century art. 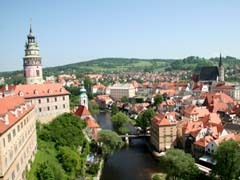 From there a very short ride to CESKY KRUMLOV, one of the best preserved medieval towns in the world. On the UNESCO World Heritage list it ranks Number Two, only after Venice. After free time for lunch, join your local guide for a tour of the Castle of Cesky Krumlov, founded by the Lords of Krumlov in the thirteenth century. It is the second largest castle in the Czech Republic, after Prague Castle. 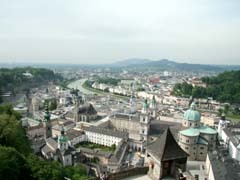 After breakfast we go south the scenic way – along the Vltava River to SALZBURG, this world famous city where upon arrival you are met by your local specialist for a guided walking tour. 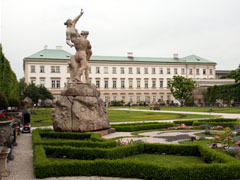 See the Mirabell Gardens, Getreidegasse with Mozart’s Birthplace, and the Cathedral. 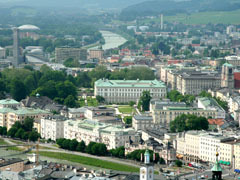 Take the funicular up to Fortress Hohensalzburg for an inside guided tour. Dinner tonight in one of Austria's oldest restaurants. Today we depart for INNSBRUCK on the scenic Alpine road via St. Johann. 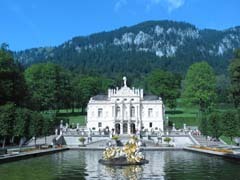 Upon arrival in the capital of the Tyrol enjoy a nice stroll to see the famous little Golden Roof (Goldenes Dachl in German) below the impressive Austrian Alps, the fine baroque church, the Hofburg, built by Empress Maria Theresia, and maybe shop for Swarovski Crystal, which is made in Innsbruck. In the evening, we have a nice Tyrolean dinner and a traditional folklore show with yodeling, alphorn blowing, Schuhplatting and dancing. From here we continue back to MUNICH. In the afternoon you have tickets to tour THE RESIDENCE, the winter palace of the Wittelsbach family that ruled Bavaria for 800 years. 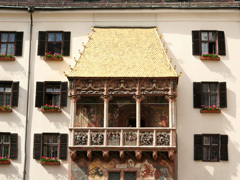 Although originally dating from the 14th century, subsequent additions and alterations gave the Residence a variety of architectural styles, though Renaissance features predominate. Time to say "Auf wiedersehen". One final breakfast and then transfer to MUNICH Airport for your return flight home. Skip the lines at must-see attractions. Images of tour features, organized by location. - Detailed map with Imperial Castles destinations marked by day. Other website pages, shared with other tours, also provide in depth information. Notes on the distinguishing features of the various tours offered. What's so special about these tours? How do they differ from each other? Clickable links to air and rail travel resources, currency and time conversion, etc. Comments by guests on past tours are posted on our References Page . A child 8 to 16 years old sharing a room with two adults receives a 30% reduction.